Home / Posts tagged "Gov Phil Murphy"
Gov. 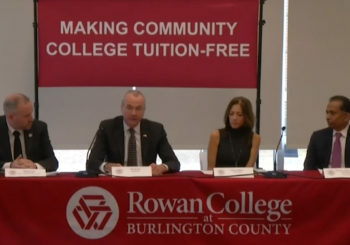 Phil Murphy renewed his higher education pledge: free tuition at every community college throughout all 21 counties in the state. Included in the discussion was Sivaraman Anbarasan, CEO/Executive Director of the New Jersey Community College Consortium for Workforce & Economic Development. View news story - click here.